When heading to New York, chances are you’ll spend most of your time in Manhattan. But New York has so much more to offer. Venture out to the other boroughs and see for yourself. And whilst you are out there, try the food on offer. 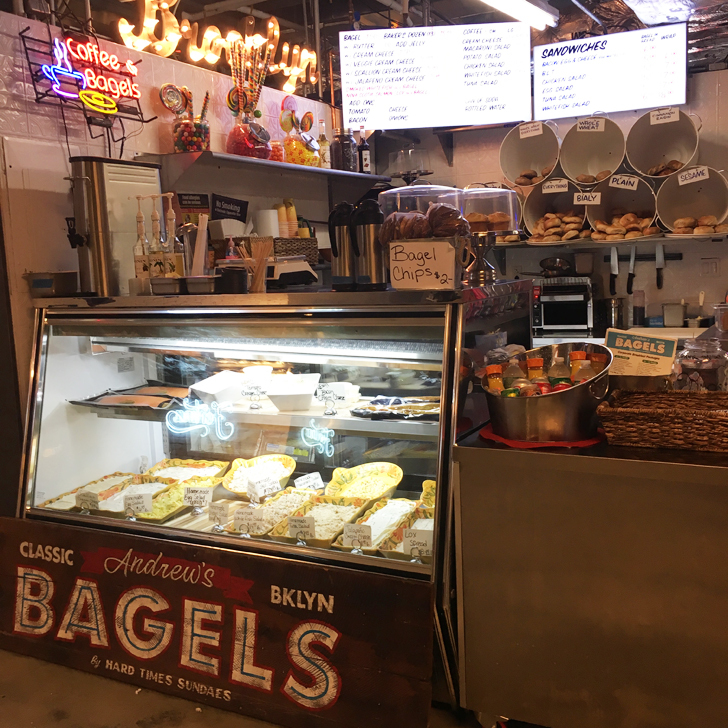 Brooklyn has become a bit of a trendy area over the last decade or so. Plenty of individual coffee shops, local craft beers and organic food places. 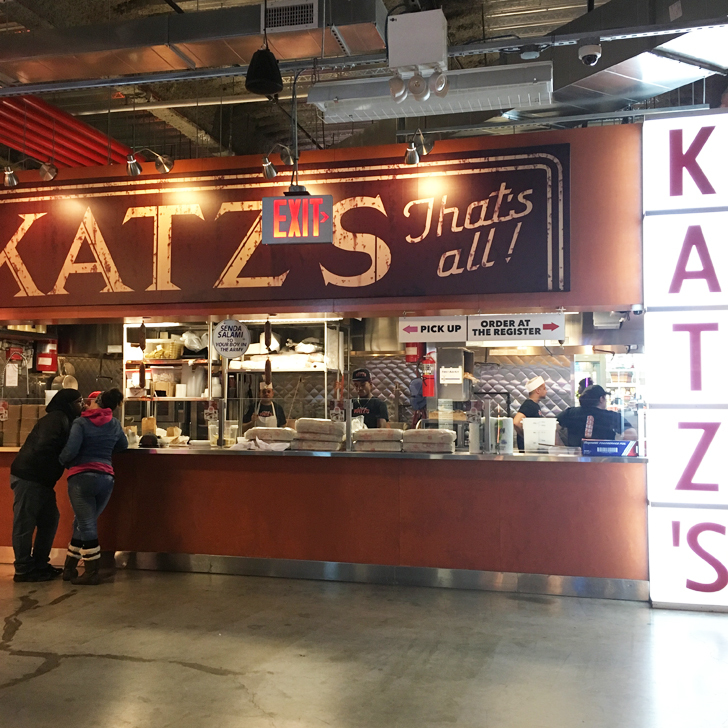 So if you find yourself in the area of Flatbush Avenue / Dekalb Avenue, I would recommend a trip to the Dekalb Market Hall. 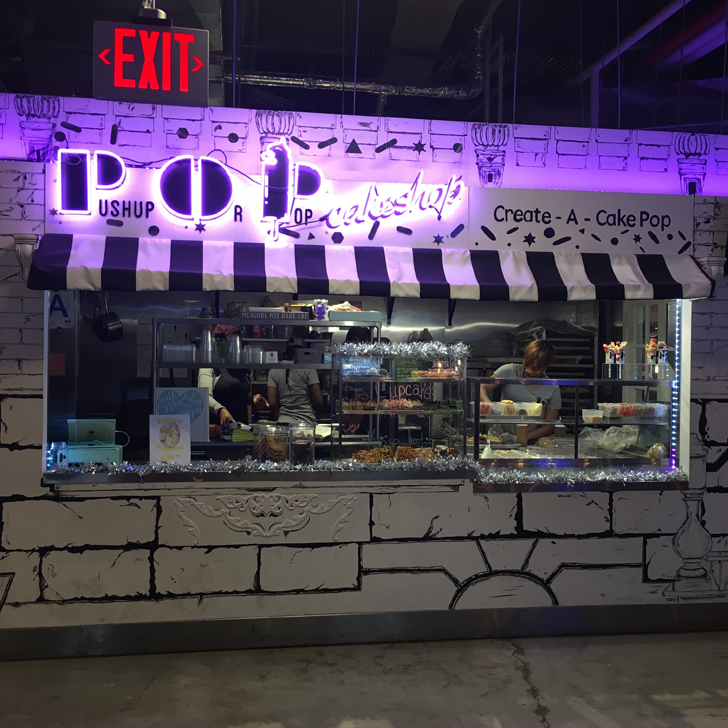 We stumbled across it by chance during our recent trip to New York. 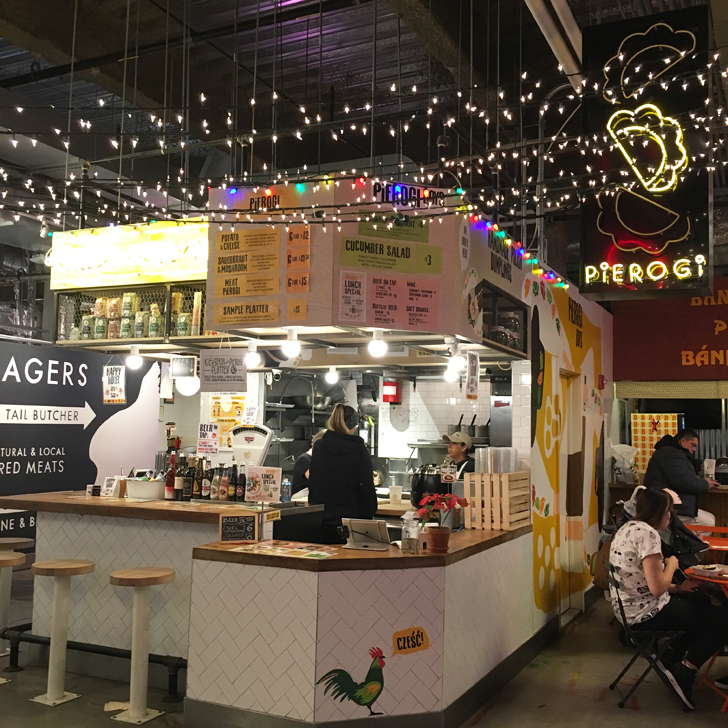 We’ve been to the area and to Dekalb Market before, but at that time Dekalb Market was a container park with a few food stalls and small independent designer pop-up shops in those said containers. It was a great little market, very vibrant and colourful and we enjoyed it, but next time we came by it was sadly gone. 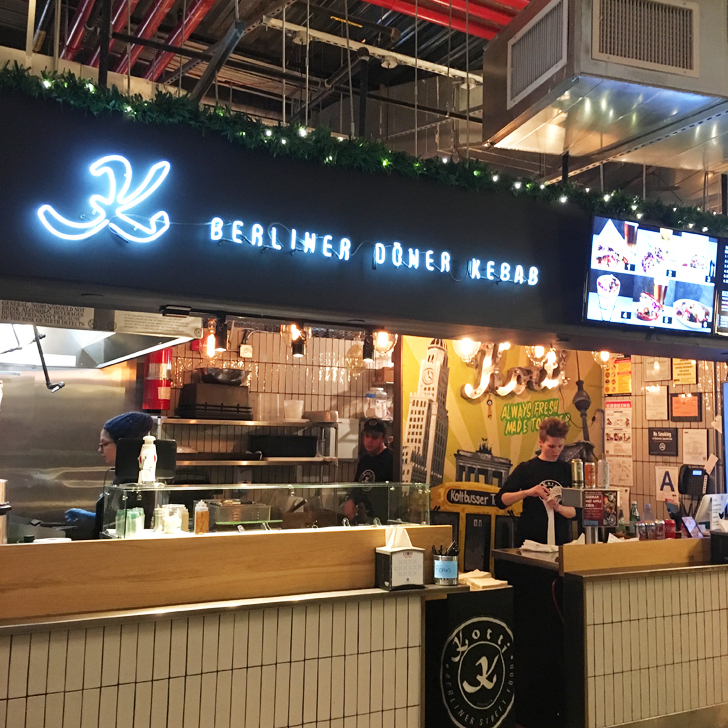 The happier we were when we discovered the Dekalb Market Hall this time. As already mentioned, we came past it by sheer accident … we were on our way to Fulton Mall for some bargain hunting (blog post about that to follow soon). 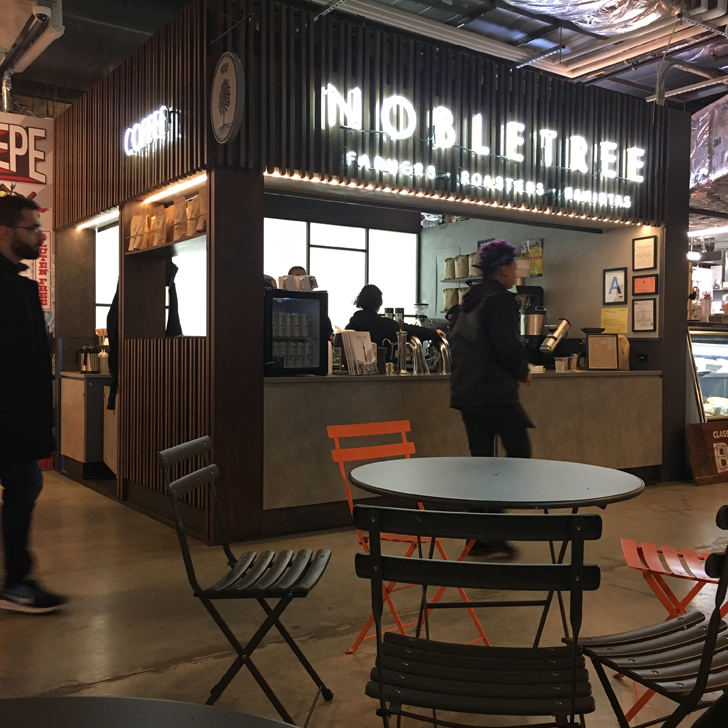 The market hall is located in the basement of a multi-storey retail building, so it doesn’t see much daylight… but it does have a very industrial look and feel to it (and being covered means it is warm and dry, unlike the old location). … to name just a few. 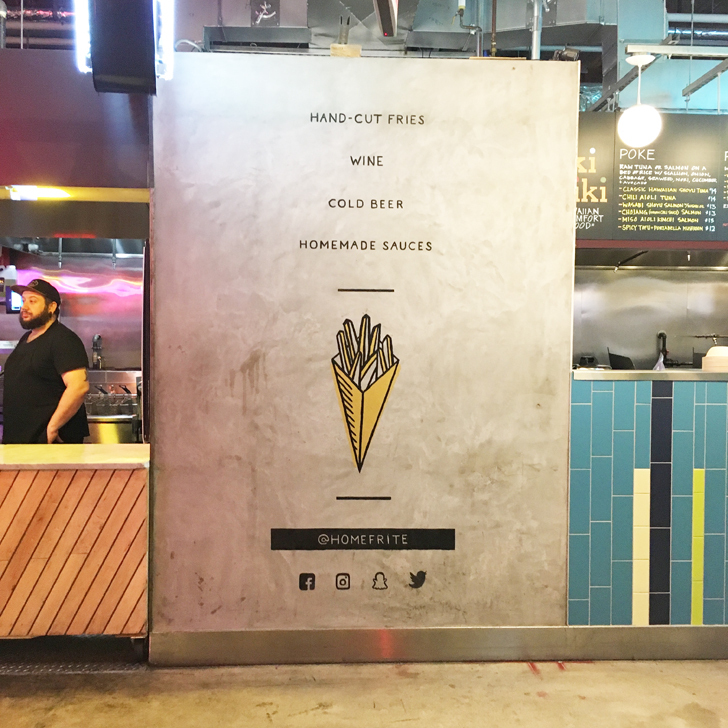 It would certainly take several trips to the market hall to try it all out. With all that choice it took us two rounds to actually decide on our lunch. 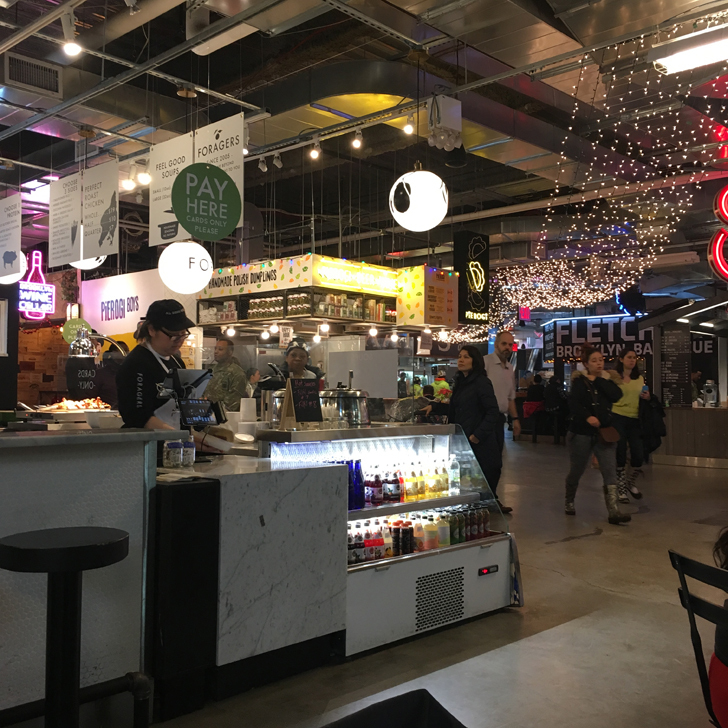 Good thing is that with this kind of food hall everyone can just grab the food they fancy and you all sit down together. So tables and chairs are not per stall. Similar to the set up at the various Time Out Markets for example. Eventually hubby settled for Fried Pizza. I know I know, it sounds a little disgusting and certainly wasn’t the low fat option. But it did actually taste quite good (although he did suffer a little for the rest of the day, thanks to all the grease). 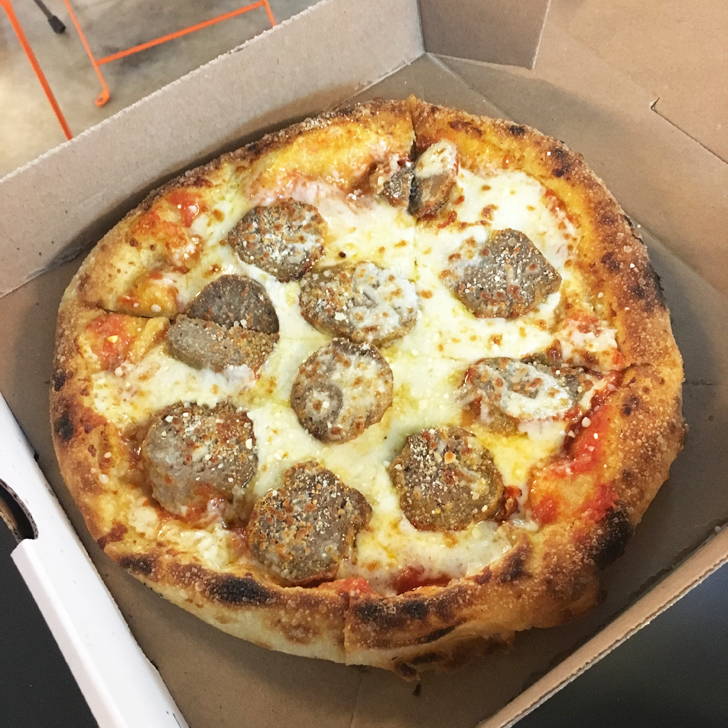 The dough was deep fried before the pizza toppings were added, then the pizza was baked in the traditional way. 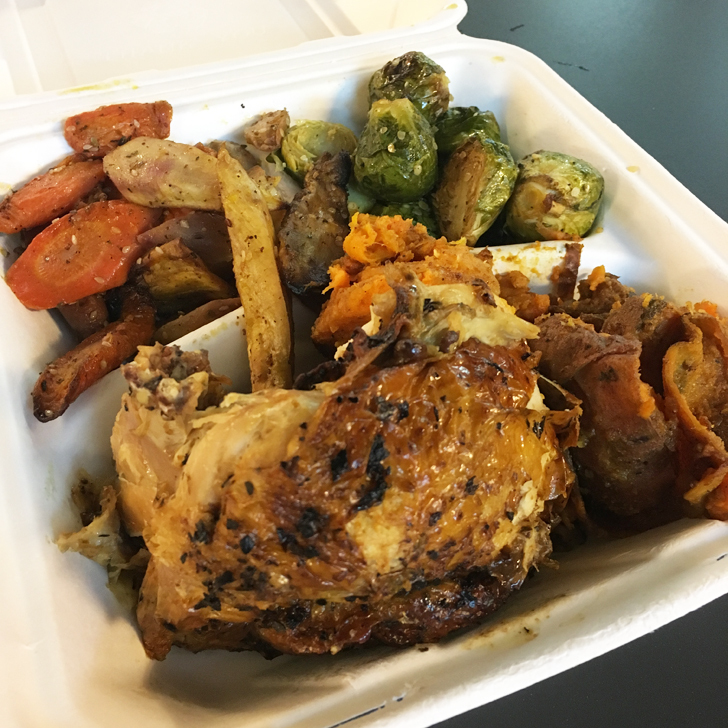 I opted for Roast Chicken with 3 sides (roasted carrots, Brussels sprouts and sweet potatoes), which wasn’t much of a looker, but was actually rather tasty (although I must say it reminded me of a traditional Sunday roast… just without the gravy and Yorkshire Puds). I enjoyed this post, good find! If I find myself in NYC I’ll check it out. Did they have any pop-up fashion shows or retail down there as well? Glad you enjoyed it. No they didn’t have any shows on whilst we were there. I’ve seen signs of them doing show cooking events etc, not sure if they do other events / shows, but wouldn’t be surprised. Might be worth a quick check on Google.